Pioneers in the industry, we offer semi goliath crane, double girder goliath crane, goliath crane and double girder overhead crane from India. 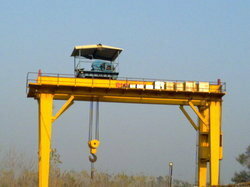 We offer a unique range of Double Girder Goliath Crane which is an ideal material handling equipment for various industries. 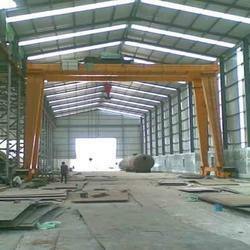 Goliath Crane are appreciated for their durability and optimum performance. 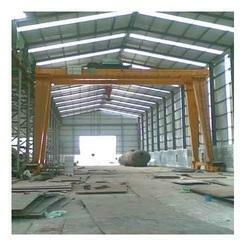 Owing to years of experience, we are offering a quality assured assortment of Goliath Crane. Offered products are widely used for material handling and are highly appreciated among our clients for their sturdy construction. These are widely used in many applications such as ports, stockyards and scrapyards, construction sites and railway yards. Besides, these products are tested for their quality before being introduced in the market. We offer a unique range of Double Girder Overhead Crane which is an ideal material handling equipment for various industries. 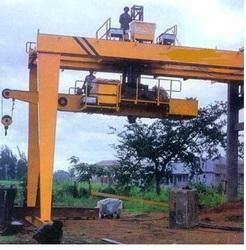 Goliath Crane are appreciated for their durability and optimum performance.